A WordPress theme is a collection of WordPress templates made up of WordPress template tags. 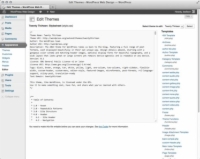 A WordPress theme means the group of templates that makes up the theme. A WordPress template refers to only one of the template files that contains WordPress template tags. 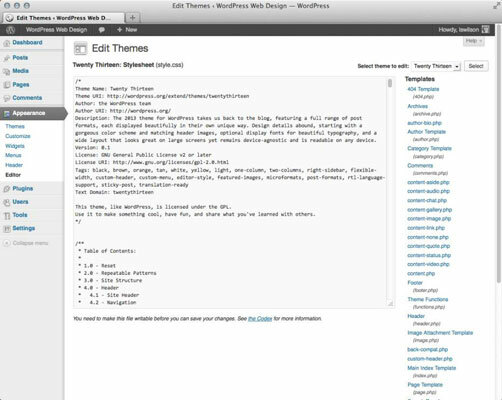 WordPress template tags make all the templates work together as a theme. 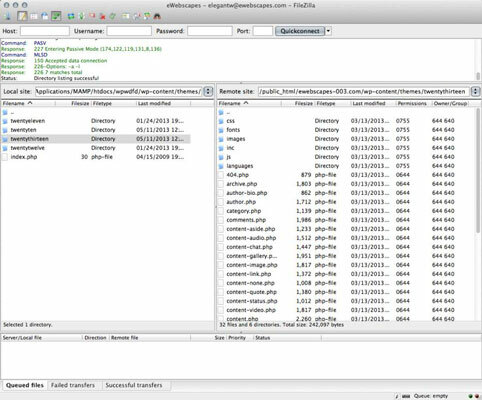 1Connect to your web server via FTP and look at the existing WordPress themes on your server in the folder /wp-content/themes. When you open this folder, you find the /twentythirteen theme folder. 3On your WordPress Dashboard, choose Appearance→Editor to look at the template files within a theme. 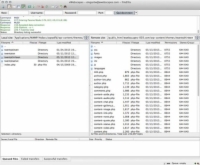 4To view and edit a template file, click the template name in the list on the right side of the page. The Edit Themes page also shows the template tags within the template file. These tags make all the magic happen in your site; they connect all the templates to form a theme. Below the text box on the Edit Themes page is the Documentation drop-down list for every file you edit, except style.css. Click the arrow on the right side of the menu, and a list drops down that contains all the template tags used in the template you’re currently viewing. This list is helpful when you edit templates and it gives you some insight into the different template tags used to create functions and features within your WordPress theme.